I'm super excited about this one. I loved the first book in the series (even though it wasn't perfect). I'm really excited to read more in this world! 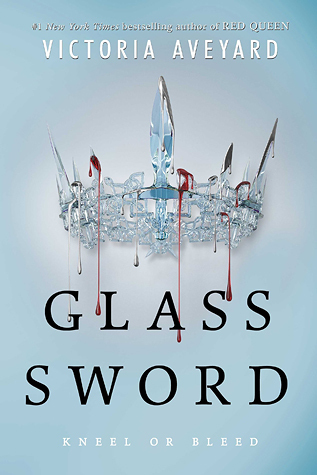 The thrilling second book in the #1 New York Times bestselling Red Queen trilogy follows Mare Barrow on her mission to defeat the traitorous Maven. The electrifying next installment in the Red Queen series escalates the struggle between the growing rebel army and the blood-segregated world they’ve always known—and pits Mare against the darkness of her own heart. My roomies are huge fans of this series. I still need to check it out! Great pick! I'm impatient to read this one too. I haven't started this series yet but the covers are so gorgeous! I haven't read Red Queen yet but I'm excited about reading this series :) Great pick, Alison! This book is beautiful. Happy Reading! I still haven't read Red Queen but I will. I love the cover. Oh nice! I still need to read Red Queen! Eep!